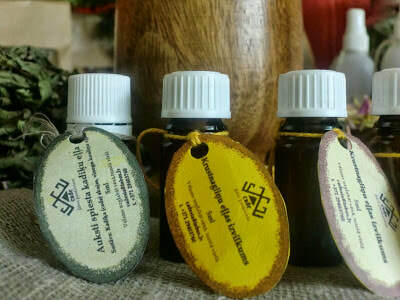 "​We produce essential oils and prepare cosmetics from plants and herbs growing in Latvia. CADE is a new innovative company that lives, breathes and feels the values of today. The creation of our products is inspired by Latvia’s nature, pine forests and folk songs." Oil extracts or plant extracts may be used undiluted directly on the skin. They are made on a base of grape and almond oil. The other ingredients are jojoba wax, or, in the winter season, avocado or macadamia nut oil. This combination is suitable for dry, normal and mixed skin care. The oil extracts will both tone the skin of your face and nourish it with different micronutrients, tannins and vitamins. For a better absorption, it is recommended to apply the product on moisturized skin. Our plant hydrolates will serve well as moisturizers. Antiseptic, cleans, heals and gives freshness to your skin. It tones the skin and reduces irritation; treats burns. Contains tannins, micronutrients, vitamin C, and other active substances. Energetically releases from all types of negative energy. Antiseptic, disinfectant, regenerates skin tissues, helps to smooth out scar tissues (including stretch marks). Particularly suitable for inflamed, damaged skin. Heals inflammation, rash and wounds. Promotes sun tanning (in natural sun as well as solarium). This is a plant that helps to regain mental balance and arrange one’s thoughts. Mosquito repellent! Removes itchiness and irritation after insect bites. This oil may help in blood purification. The aroma works “erotizing” – stimulates feeling of comfort and enhances joy. Stimulates thinking and strengthens your heart. Not recommended during pregnancy. For most pets, the aroma seems to be too strong, so application of this oil on a furniture “leg” or corner helps to stop our pets from damaging (gnawing) the furniture.